If you are serious about Search Engine Marketing then you should want to keep your website in the best possible shape. 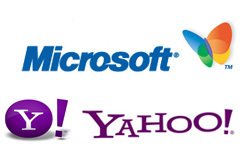 Search engines have a liking for relevant search results and cleanly coded sites. Just as we have for humans, there are some indicators which can testify to the good health of a website. As such, I have created this list of 6 items you should check each day for a healthy website. Many of these items can easily go unnoticed so they are important to keep in the forefront. If you are not regular with your monitoring, when a problem occurs as reflected by a drop in rankings, it might be too late to fix the problem. On the other hand, constant checking of the stats will help you to diagnose and fix the errors even before they occur. So alas, I bring you the 6 daily items you should check for a healthy website! Finding ‘indexed pages’ and ‘unknown pages’ can assist you in ironing out some possible BIG issues your site may face. Site search is probably the best way to find out whether your site is in the pink of health. It tracks not only your indexed pages but helps find if there is any unknown page added to your site by hackers attempting to extract some link juice from your site. Doing a regular site search shields your site from being colonized by cyber-terrorists. Taking care of the total number of indexed pages which appears in Google SERP is also crucial. This lets you be mindful about the unnatural variations in the number of indexed pages. If a steep fall or rise in the number of indexed pages is noted, that indicates something has gone wrong with your site. This could be a wrong code or a crawl error, they can steamroll into more serious problems. 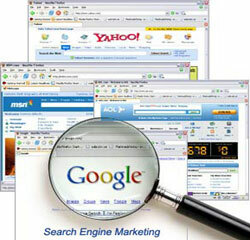 Do a site search regularly by using Google (site:www.example.com) or Yahoo Site Explorer. This may appear to be an odd request, but as I told you earlier for complete and effective SEO this would prove useful. Check for proper implementation of GA code in all pages of your site. For checking GA code you can use Firefox plug-in on your browser or go to your Google Analytics account and view ‘Check Status’ option. You can also opt for innovative tools like GPABLO which can save you a lot of time by checking for the code. By ensuring everything is installed properly you can also gain a better idea of your trends by monitoring your analytics. If you have conversion tracking code installed in your site (for PPC) then it is all the more important that you verify the code frequently. Any mistake in the code can mean that you lose valuable insite into campaign tracking which can affect your leads and ROI measurements. Conversion code is placed in the goal page which is usually the Thank You page in a site. Check for the presence of the code by doing a view source in the browser for the page. Google Webmaster Tools (GWT) is the most reliable and powerful source for seo-geeks and webmasters to measure the effectiveness of your site. GWT can help make you aware of how Google robots view and index your site as well as aiding you in diagnosing crawling errors, sitemap warnings etc. in your site. Make sure to do a daily visit to your GWT account for not making your site suspect in Google’s eyes. Never fail to check for broken links and 404 errors, as they can prove harmful to the visitor experience. Once again, GWT will assist you in detecting the potential problem areas in your site. You can also accomplish this job by doing a scan of your broken links using the GPABLO tool mentioned earlier. Taking care of duplicate content across sites you own is a necessary part of search engine optimization, and internet marketing. Checking includes not just the web page content but also title and meta content of your site’s pages. Where possible check out the above mentioned items regularly and satisfy yourself with the performance of your site. By doing this you will ensure that search engines see your website in the presentable way you want them to see it and in turn will make your visitors happy too! Good picks! These are the right metrics and every webmaster should keep a close eye on them regularly. Failing to fulfill these SEO standards will place your site in the ‘ungoogled’ category. And I consider GWT as the most-trusted signpost on the way in my site’s SEO journey. Page load time and Robots.txt file, both are very crucial to our site’s SEO circuits. Thanks for your additions! There are thing though simple we often overlooked, dear ‘Risetothetop’ readers please share and add your thoughts here. Very nice article Asha! I also think one other thing that is very simple but often overlooked is the ROBOTS.txt file. Many times company sites get completely blocked and webmasters rack their brain trying to figure out why there is no search engine rankings only to see that the site is simply blocked in the root folder by the robots.txt file. Now that’s a good overview of the daily monitoring tasks that should be observed for a website. As you rightly said safeguarding the health of a site is all important in search engine marketing. Any complacency on this count can really, really cost you. 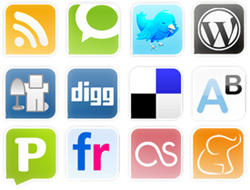 Just stick to the simple tasks listed here and find your site favoured by the search engines.